The government today said it had identified 18 venues for infrastructure development for the 2010 Commonwealth Games. Answering a question in the Lok Sabha, Minister for Urban Development Jaipal Reddy said the Ministry of Youth Affairs and Sports had identified 18 venues for 15 approved and three proposed disciplines for the Commonwealth Games 2010. In yet another jolt to the Sheila Dikshit government, Delhi Assembly Speaker Prem Singh today disallowed voting on Public Accounts Committee (PAC) report on ‘Smart Cards’ issued by the Transport Department that suggested there were irregularities in the process and recommended CBI probe into the matter. The Deputy Commissioner, Mr R.P.Bhardwaj, has set aside a April 25,2005 ruling of the local Sub Divisional Magistrate, Mr Vivek Padam Singh, in which the latter had awarded titleship of 300 acres of prime common land belonging to Gram Panchayat of village Sakatpur to a private party. The obvious emphasis on infrastructure, especially transport, will put Delhi on the right track to deal with the challenges of the Commonwealth Games 2010 and the needs of a growing modern city. It is a right step in the direction to make Delhi a world class city said Mr A K Kaul, chairman, CII Delhi State Council, while commenting on the Delhi Budget. After the announcement of new excise policy, Gurgaon district is expected to get the maximum applicants in Haryana for its 231 liquor shops. The district would have around seven thousand applicants for 231 shops; 92 Indian Made Foreign Liquor and 139 country made liquor outlets, informed Mr Ashok Sharma, Deputy Excise and Taxation Commissioner (Excise), Gurgaon. The Delhi High Court has ordered Delhi Police to provide all protection to a 23-year old Muslim woman from Jammu who apprehended safety to her life after she married a Hindu man against her family’s wishes. While passing the direction, Mr Justice R C Jain asked the Delhi Police Commissioner to produce the woman’s father Mohammed Ayoob Zari and her husband Vijay Sharma before the court on March 14. The Union Power Minister, Mr Sushil Kumar Shinde, today assured the Chief Minister, Ms Sheila Dikshit, that there would be no power shortage in the national Capital during this summer. The city today woke up to a pleasant morning, a big relief from the scorching heat that marked February and early March. Light showers overnight had brought the mercury down. While the first half of the day saw the sky overcast, the city received rain in the afternoon. The University of Delhi has issued instructions to be followed by all students to prevent Holi hooliganism on the campus as well as in individual colleges. The university has taken steps to ensure security for students, especially women. Spelling out the consequences of unruly behaviour, the university has said strict action under the provisions of the University Ordinance XV-B and XV-C will be taken against any act of indiscipline. All 53 birds found dead at the Okhla Bird Sanctuary in February have tested negative for avian influenza. Minister of State for Environment and Forests Namo Narain Meena said in the Rajya Sabha the birds died due to poisonous baits. New Delhi, March 10 The Delhi University Teachers’ Association today staged a protest outside the Vidhan Sabha and submitted a memorandum to Chief Minister Ms Sheila Dikshit highlighting its demands. Queen of Jordan visits slum children. He said the upgrade and construction work in connection with the Games was to be taken up by the Sports Authority of India, the Delhi Government, Delhi Development Authority, Delhi University and All India Tennis Association for venues under their respective control. In addition, the DDA had been entrusted with constructing a Games Village for the event, he added. The Minister of State for Urban Development, Mr Ajay Maken, in a written reply to the Lok Sabha said the Union Government had initially finalised guidelines for regularisation of unauthorised colonies in February 2001. These were subsequently revised in February 2004. The revised guidelines provided the policy/framework regularisation of 1500 unauthorised colonies in the city. The Government of NCT of Delhi, he said, had requested for further revision of certain provisions of the guidelines such as land cost and development charges. No decisions had, however, been taken so far but the NCT government had received 1,432 applications from the RWAs of unauthorised colonies. The verification for the same had begun. Mr Maken also informed the House that the NCT government had reported that it had formulated a proposal for construction of multistoried tenements for relocation of slum dwellers at Tehkhand. An area of about 16 hectares had been identified for the purpose. This would provide about 3200 EWS tenements for slum relocation. In reply to another question, Mr Maken informed the Lok Sabha that a detailed project report for Metro Rail to Noida and Gurgaon had been prepared. As per the report for the extension of the Metro to Gurgaon, the proposed alignment was from Qutub Minar to Sushant Lok, covering a length of 16 km. 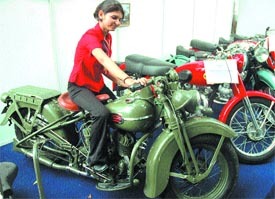 This was estimated to cost Rs 1,320 crore according to the June 2004 prices. The report indicated that for the extension of the Metro to Noida, the alignment was from New Ashok Nagar to the Noida city centre. Covering a length of 7.05 km, the completion cost is expected to be Rs 736 crore. He added that for the extension of the Metro to Gurgaon, the governments of Delhi and Haryana were studying alternative alignments. The expenditure was to be shared in proportion to the length of the extension in each state. The Uttar Pradesh Government had accorded ‘in principle’ approval for the extension of the Metro to Noida. The expenditure for the extension of the Metro to Gurgaon and Noida was to be shared in proportion to the length of extension in each state, the minister said. In respect of the alignment to Noida, the entire cost was to be borne by the Uttar Pradesh Government, with a share of 15 per cent proposed to be borne by the Centre. However, the proportion of sharing in respect to the extension to Gurgaon would be finalised after the final agreement was agreed upon, Mr Maken said. In yet another jolt to the Sheila Dikshit government, Delhi Assembly Speaker Prem Singh today disallowed voting on Public Accounts Committee (PAC) report on ‘Smart Cards’ issued by the Transport Department that suggested there were irregularities in the process and recommended CBI probe into the matter. The Speaker said there would be neither be a formal motion before the House nor voting on the report, which was listed for adoption by the House today. House committees were like a ‘mini House’ and their reports were not to be discussed again in the House and had to be accepted as it they were, he said. Hence, the report was accepted as it is without any discussion, much to the discomfort of the government. His ruling assumed importance as a ‘whip’ had been issued to Congress MLAs to vote against the report when it was put to the floor. BJP member S S Chauhan brought it to the notice of the Chair that the rules prevented any voting or discussion on a report of a House committee. On March 9, the Public Accounts Committee report, seeking a CBI probe into the issue of the ‘Smart Cards’, was tabled in Delhi Assembly, causing a huge embarrassment to the state government. The ‘Smart Card’ technology was introduced for driving licenses and vehicle registration applications in the Capital in February 1999, but was soon mired in controversy following reports of impropriety in the tender process. The PAC, headed by Congress MLA S C Vats, said that the Transport Department had burdened the common man monetarily “with the sole objective of favouring a dubious entity”. Earlier, the Assembly had adopted a similar report on the power privatisation issue as well. That report too indicated that irregularities had been committed and sought a CBI investigation. On March 6, in what could be seen as a major jolt to its legislative functioning, Delhi government had withdrawn three important bills in the Assembly after select committees had rejected them. In order to save itself from discomfort and embarrassment due to opposition from its own party MLAs, Chief Minister Ms Sheila Dikshit withdrew the controversial Delhi Water Board (Amendment) Bill 2005 that proposed to regulate and impose cess on groundwater, as also the Municipal Corporation of Delhi (Second Amendment) Bill 2004 and New Delhi Municipal Council (Amendment) Bill 2004, both of which sought to increase fine amounts from 20 to 50 per cent. Though forced to accept the “rejection” report of the select committees constituted to go into the subjects after considerable pressure from dissidents, Ms Dikshit said that the committee had not followed “due procedure”. However this was objected to by the committee members. There was much public hue and cry with the ruling of Mr Singh. Mr Bhardwaj set aside the ruling when the Gram Panchayat appealed to him. Now the land has been handed over to the Gram Panchayat in the wake of the overturning of the ruling of Mr Singh. The ruling of Mr Singh was allegedly in violation of the law. He had decided the case taking recourse to Punjab Tenancy Act. It may be mentioned here that the ruling was given when the government led by the INLD was in power in Haryana. According to sources, only the District Magistrate had the authority to adjudicate in such cases. Moreover, it was also found that private lawyers had been assigned for the case even when government counsels were available. According to sources, there are at least half a dozen such cases where the Gram Panchayat land were awarded to private parties, including those in villages Tikri, Daulatabad and Baloda Ghata, which are under consideration of the Deputy Commissioner. When contacted, Mr Bhardwaj confirmed that his office was considering these cases. It may be recalled that several such cases of the unholy nexus between officers, land mafia and politicians have been highlighted by The Tribune. As a result, the village common land belonging to panchayats are being gobbled up by the mafia by fabricating false title disputes. The construction of roads, flyovers, elevated corridors will ease the traffic congestion. Another important aspect that needs to be worked on, is skill development in Delhi. With the advent of Commonwealth Games 2010, the skills that will be required will be wide ranging from para-medics, plumbers, electricians, tourist guides, safe and trained drivers, facilities management etc. The CII-City and Guilds addresses just these needs and CII would be happy to work with Delhi Government, said Mr Kaul. The long-awaited Delhi Integrated Multi Modal Transit System (DIMMTS) — the new SPV for an integrated approach to multi-modal transportation — will work well towards ushering in new age transport in Delhi in a cohesive manner, added Mr Kaul. The addition of a super speciality hospital at Janakpuri and 1900 new hospital beds will add to the advantage that Delhi has in the area of healthcare. However, zoning of Delhi for co-ordinated healthcare facilities, including preventive medicine, must be done at the earliest. Expressing satisfaction at Delhi Government’s acceptance of the CII recommendation to involve local industrial association in management of industrial estates and improving civic services, Mr Kaul highlighted the other recommendation of the CII. Welcoming the Public Private Partnership approach by Delhi government in select projects, Mr Kaul urged the government to include more projects like construction of low cost toilets, street furniture, bus stands etc. Complimenting the Delhi Government for its renewed focus on tourism, Mr Ankur Bhatia, Vice Chairman, CII Delhi State Council said that the development of the second Dilli Haat at Pitampura and Mini India Tourism and Cultural Park will go a long way to promote Delhi as the cultural hub of India and represent true cosmopolitan spirit and rich heritage of Delhi. Commenting on the tax proposals, Mr Kaul said that the reduction of VAT on piped natural gas and LPG to 4 per cent will contribute to reduction in daily expenditure of the common man. Simplification of VAT procedures by reducing the Composition Tax to 3% for goods procured outside Delhi and 2.5 per cent for goods procured within Delhi as well as introduction of Composition Scheme for smaller chemists, enabling them to claim input tax credit, were much needed steps. The reduction of VAT on bullion from 1 per cent to 0.1 per cent will definitely promote bullion trade in Delhi. CII recommends reduction of stamp duty to 4 per cent as this will invariably boost development process in various sectors of the economy including manufacturing, real estate and tourism. While the announcement of formulation of entertainment policy is a welcome step, CII strongly recommends that Entertainment Tax be brought down to 15 per cent as this will trigger greater transparency and growth in the industry, leading to all round investments, increased employment and better entertainment avenues for the people. Since Delhi’s water situation is precarious and the requirement for energy is peeking, the CII recommended that some incentives for energy efficient appliances and water saving devices be given. The cost of one form has been fixed at Rs. 5000/- and the state government has earned Rs.3.5 crore just from the applicants, informed the DETC. The form cost is non-refundable or adjustable in the licence fee. As per the new policy, each liquor shop in urban area can open a ‘ahatta’, (a place for serving liquor) adjacent to his shop after paying an extra one per cent of the shop licence fee. Out of the total 231 liquor shops in Gurgaon, 153 shops fall in urban area and 78 in rural areas, informed Mr Sharma. The licence fees for IMFL vends has been divided as per the location of the liquor shop. Out of the total 92 IMFL vends, 3 have a fee of Rs 1 crore each, 11 vends – Rs 75 lakh, 57 vends – Rs 50 lakh, 18 vends – Rs. 35 lakh and 3 vends carry a fee of Rs 25 lakh each. In the country made liquor category, there are 139 vends. Two vends carries a licence fees of Rs 1 crore each, 16 vends – Rs 50 lakh, 59 vends – Rs 30 lakh, 35 vends – Rs 25 lakh, 18 vends – Rs 20 lakh and 9 vends Rs 12 lakh each for year. One person or firm cannot submit more than one form for one location. Of course, he can apply for all 231 shops, clarified Mr Ashok Sharma. “As the licence fee has already been fixed as per the location of the liquor shop, there would be no bidding. We would adopt the lottery system where there would be more than one applicant for one location shop,” informed Mr Sharma. “We would have around 30 applicants on the average basis for each location liquor shop,” added the officer. As far as, revenue of the department is concerned, Gurgaon would get a revenue of Rs 88 crore as licence fees from 231 liquor vends in the financial year of 2006-07. Gurgaon, including Mewat district, has got Rs 81 crore in 2005-06 and Rs 63 crore in 2004-05 financial year, informed the DETC. Experts in the liquor business informed that there are various cases where an applicant has submitted multiple forms in the name of a close friend or for a particular location shop to increase the chances of getting the shop through the lottery. The new policy would not only ensure transparency and but also break the monopoly of big players. Now small players are also coming forward in the trade. There would be a competition amongst the different location liquor shops to woo more customers. Thus there would more brands and the rates would be competitive, observed the Gurgaon Deputy Commissioner, Mr R P Bhardwaj. The rates of liquor would further fall in the state as the excise duty on sale of liquor has also been reduced. Excise duty has been reduced on country made liquor from Rs 13 per proof litre to Rs 5 per proof litre and in the case of IMFL from Rs 43 per proof litre to Rs 25 per proof litre, added Mr Bhardwaj. The victim Sunita Sharma alias Farhat Zari in her petition through counsels S K Aggarwal and Rakesh Mahajan submitted that she married Sharma on September 27, 2005 after converting to Hinduism. However, it was stated that her parents, brother and one Marawat Hussain threatened to kill her if she did not break the marriage. Following this, the victim came to Delhi with the help of well-wishers and took shelter in the house of an acquaintance. But as the threats continued, Sunita approached the High Court seeking protection, stating that she was a major and entitled to marry the man of her choice. The court also issued a notice to the Police Commissioner on a complaint filed by a woman alleging that he did not take any action despite her plea to order a probe into her banker daughter’s sudden disappearance. Additional Chief Metropolitan Magistrate Sanjeev Jain has asked the Commissioner to file a report in respect of the action taken and also summoned the Investigating Officer in the case to appear in court on March 13. Gauri, an employee with the Barakhamba branch of ICICI Bank, went missing on February 13. She had left home that morning for work and was never heard of again, complainant Anita Kaushik, Gauri’s mother, alleged. Subsequently, Anita had filed a missing report in the Nabi Karim Police Station and named one Salman, a resident of Jama Masjid area, as the main suspect. The assurance was given when the Chief minister along with Special Secretary, Power, Mr Arun Goel and Principal Secretary, Power, Mr Rakesh Mehta went to him demanding 400 MW power to Delhi to overcome the problems of Delhiites, an official of power ministry said. The Union Power Ministry will discus this issue in detail on Monday following which an order will be issued clarifying how much power will be given to Delhi. Earlier, the city was getting 25 per cent of the total allocation of power. Now, it was being hoped that it would get 35 per cent, the official said. The CM also demanded grid discipline for the Northern Grid system so that the Delhi could utilise its full share of power. She also demanded 400 MW power from a total of 1000 MW from Bhutan Tala Hydle Project. The Met Office has predicted that the Capital is expected to remain cool for the next couple of days with more showers expected during the night. It was pointed out that though the maximum temperature may experience a dip the minimum temperature would not see much change due to the overcast sky. The humidity level was also expected to be a little high. About 1.2 mm of rain was recorded till 5.30 pm today. While on Thursday, the city experienced a maximum of 29.7 degrees and a minimum of 18 degrees Celsius, the minimum temperature today stood at 19.3 degrees Celsius. The western disturbance and low-pressure area over the Arabian Sea are being held as the main reasons for the current spell of rain. Today was the third day in succession that Delhi witnessed a cloud cover. The Met Office has predicted a generally cloudy sky and more rain and thundershowers during the next 24 hours. In a statement issued here, the Registrar, Mr A. K. Dubey said that to check the presence of hooligans in colleges, only those who are in possession of a college identity card will be allowed entry. Playing Holi will not be allowed in any educational institution. Principals, Heads of Departments and provosts have been asked to form committees of teachers, students and karamcharis to prevent the entry of outsiders into colleges/departments. The Delhi Police will help in maintaining law and order. Personnel will be deployed at strategic places and mobile patrol squads will also be used. The university has requested the Transport Department authorities to check harassment of girl students in buses. It has also asked the DTC crews to take buses to the nearest police station if any incident occurs on board. The minister told the Rajya Sabha today the samples of dead birds sent to the high-security Animal Disease Laboratory, Bhopal, tested negative for avian influenza. Three persons caught fishing in the area using poisonous baits had been arrested under the relevant provisions of the Wildlife (Protection) Act, 1972. The death of the birds has been attributed to poisonous baits as dead fish were also found along with the dead birds. The 53 birds found dead included shovellers (43), gulls(2), cormorants (2), little egrets (1) and the common teal (5). The Delhi University Teachers’ Association today staged a protest outside the Vidhan Sabha and submitted a memorandum to Chief Minister Ms Sheila Dikshit highlighting its demands. The teachers are agitated over Delhi Government’s proposed takeover of the University College of Medical Science instead of handing it to GTB Hospital, the failure to implement the AICTE career advancement scheme at the Delhi College of Engineering (DCE) and Netaji Subhash Institute of Technology, the introduction of a rule that requires teachers at the DCE to punch cards to mark their attendance and not filling up teaching and technical posts. The Pawanputra Rehripatri and Khomcha Association (PRKA) today gave a memorandum to Prime Minister Manmoham Singh, Chief Minister Sheila Dikshit and DPCC Chairman Ram Babu Sharma, demanding ex gratia of Rs 10 lakh and ‘tehbazari’ for family members of hawker Shambhu Dayal. Dayal allegedly committed suicide in Tilak Nagar in protest against the drive of the MCD and the Delhi Government to remove the ‘rehripatri’ and ‘khomchas’ from the footpath.